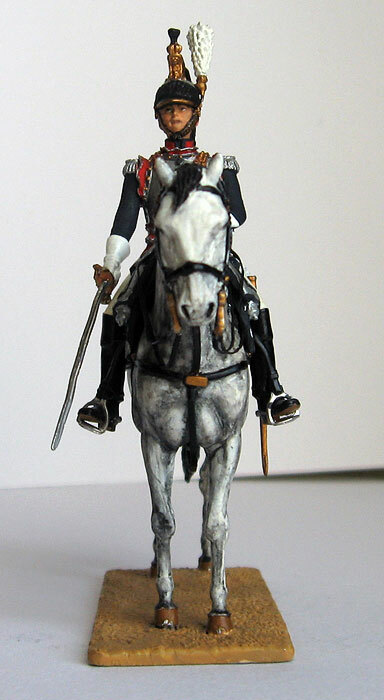 Collection tin soldier: French Napoleonic Colonel Cuirassirs 4 Regiment , 1809-1811. Standard scale of the fig urine of 54 millimeters. Height is measured from the base of figurine to the level of the eyes of figurine. High-quality casting from the tin-lead alloy on the classical technology. Quality Hand Painting. It is prepared by master in Riga. The item will be shipped from Latvia. Please allow up to 10 business days for the delivery. Combine shipping cost depends by weight of packing goods. Fine quality of Painting and Sculpture, excellent condition. Usually, items will arrive Worldwide,US,AU,Canada.... in 12-20 working days and 4-10 working days to Europe ( EU ), but sometimes it may take a bit Longer for some unpredictable reasons. Postal charges may be reduced if multiple items are purchased. If you do purchase more than one item, please contact us before making any payment.